Rather dramatically Japan has announced, according to Defense Minister Itsunori Onodera that it intends to buy cruise missiles for its fighter aircraft ostensibly to counter North Korea’s missile buildup. But this explanation does not make much sense. If Japan launched cruise missiles at North Korea’s missile launch sites well before the missiles were unleashed, there is a possibility the launch site could be destroyed. 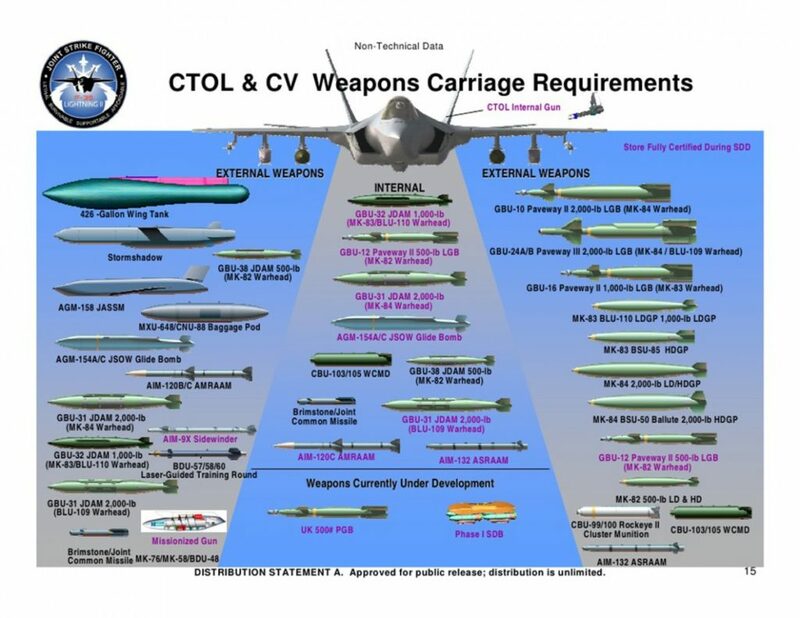 But Japan hardly needs cruise missiles for that because it could get the job done faster and perhaps with more certainty using its F-35 stealth aircraft, once it has them fully operational. The 40 F-35s Japan first few have been delivered this year but these planes are some years from being combat ready. 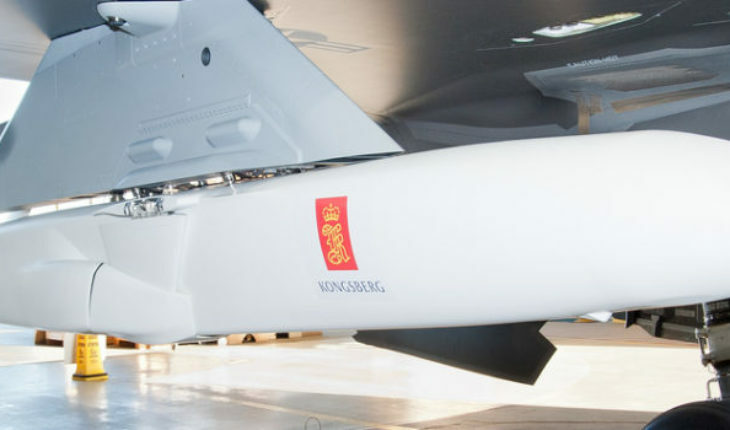 But if the F-35’s are to be equipped with internally mounted cruise missiles –those made by Raytheon partnered with Kongsberg Defense and Aerospace in Norway; they won’t be ready at the earliest until 2025 because that is the year the integration with the F-35 will be completed (called in the trade, IOC for Initial Operating Capability). So as a practical matter we are talking at least 7 years from now, and more realistically a decade into the future. Japan has said that the addition of the Raytheon-Kongsberg cruise missile, called JSM can be used to protect Japan’s Aegis-equipped destroyers and for island defense. While JSM was originally designed as an anti-shipping cruise missiles, most modern ships could easily shoot down a subsonic cruise missile. It is certain not the best weapon to use for this purpose. Japan is also planning to purchase the Lockheed JASSM-ER, a subsonic cruise missile with almost double the range of the JSM but, because of its size and characteristics can only be carried externally, either under a wing or under the centerline of an aircraft. Japan intends these missiles for its fleet of F-15’s. The U.S., Europe, Russia, China and Israel all have cruise missiles. The U.S. has used them repeatedly against terrorist targets and the Russians showed theirs off being launched against targets in Syria. Cruise missiles can be launched from aircraft, ships, submarines and from land. Cruise missiles were originally designed to fly low and avoid enemy radar as much as possible. In the Gulf War in 1991 the U.S. launched massive Tomahawk cruise missile attacks on Baghdad between January and February, 1991. This was part of a shock and awe operation that also featured the F-117A stealth fighter jet. Again in June 1993 in retaliation for an Iraqi planned assassination attack on George H.W. Bush during the visit of the ex-President to Kuwait. And again in 1996 the U.S. again launched cruise missile attacks on iraq. In 2003, 320 cruise missiles were fired from ships at Baghdad and other Iraqi targets. In addition, the U.S. used cruise missiles in Afghanistan, most notably in the initial retaliation for the 9/11 attacks in the United States and also in many attempts to kill Bin Laden. When first designed cruise missiles were planned to be nuclear equipped. But in the 1987 Intermediate Nuclear Forces (INF) Treaty, the US and Russia agreed to eliminate ground and air based missiles including most cruise missiles, including the U.S. Tomahawk. (The INF Treaty did not eliminate sea-launched missiles on the ground they could not be verified.) Neither North Korea nor China were asked or agreed to the INF treaty and the Russians say that because “Asian nations” (e.g., China) have such nuclear cruise missiles, the INF Treaty is not meaningful. In any case, the U.S. has accused Russia of violating the treaty and the Russians say that U.S. armed drones also violate the treaty even though none of them are nuclear capable platforms. Japan’s eye is far less on North Korea than it is on China. Until now, Japan has relied almost entirely on the United States for its territorial defense even to the point of doing the absolute minimum in terms of protecting its own population from ballistic missile strikes. Japan toyed with the idea of buying Thaad, but decided against the purchase. Today it only has the Patriot and the AEGIS equipped with the SM-3 missile. Neither of these are of any great use against an exoatmospheric ballistic missile strike. One would have expected a major push by Japan to get missile defenses that work, but so far at least there is no report they are doing this other than talking about study the idea of a land-based version of Aegis. But there is a strong hint that Japan is preparing for a future conflict scenario where the United States can’t help. In such a case, Japan needs some deterrent capability. Conventional cruise missiles would not provide that, but who says that the missiles Japan is buying will remain conventionally armed? Japan has been working for some time on its own space program, and it is also a storage site for a massive quantity of plutonium produced by its nuclear reactors. The country is quite capable of producing a small nuclear warhead that would require very little testing. Mounted on a cruise missile, the technology for a nuclear warhead is potentially available for Japan to offer a counter-threat, either against China or North Korea. No one in Japan would dare say they were working on such a warhead -having been hit by two American atomic bombs in 1945 the Japanese public would cringe at Japan building such weapons. But that is now –if the threat around them continues to grow, as it will, anything is possible in the future. It looks like Japan is preparing for that contingency.